A new project is under way aimed at developing a virtual Irish sign language (ISL) interpreter. It is hoped that when complete the system will be capable of translating ISL into computer generated speech, and changing speech back into ISL through a computer generated avatar. The aim is to make it easier for deaf and non-deaf people to communicate with one another. 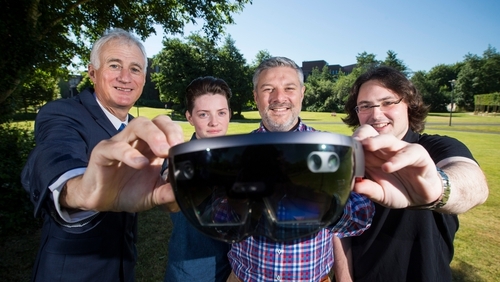 The new three to five-year project is being led by researchers in UCD who are part of the SFI backed Lero software research centre and is being carried out in conjunction with Microsoft. Augmented reality technology will be used to help deliver the new service along with Microsoft Skype, through the Skype4Good initiative. The team at UCD has already developed a prototype that can interpret sign language hand gestures. It uses a combination of HoloLens mixed reality goggles, Azure cognitive services, Xbox camera and LUIS.AI language understanding technology. Philip Power, a deaf student studying law at UCD, said his reaction when he first used the prototype was this would be a great benefit for deaf people.